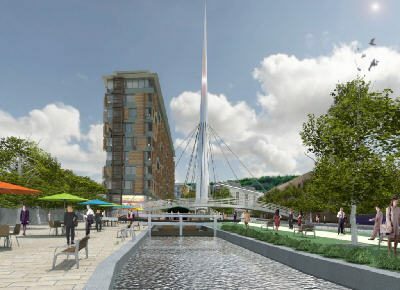 Mason Clark Associates was lead consultant for the restoration of the Huddersfield Waterfront Quarter. The works provided a waterfront surrounding to the newly constructed Kirklees College and unlocked surrounding development plots owned by the Council. The project involved the demolition of an engineering works, site remediation and major engineering works to the Huddersfield Narrow Canal. The canal works included the removal of the roof from a 350m long tunnel and the construction of a new lock chamber to raise the water level to that of the adjacent plots. 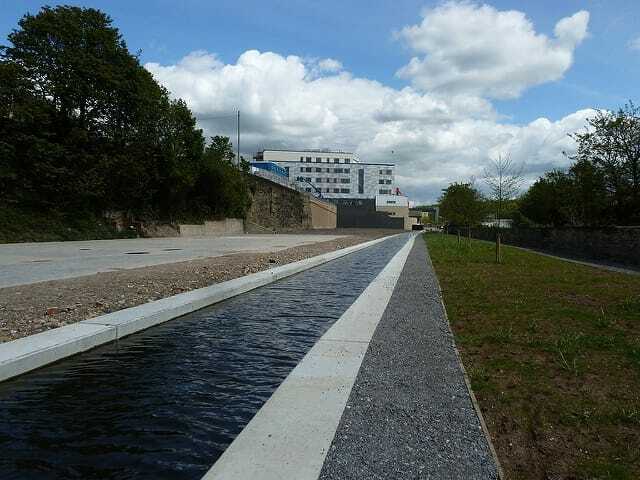 Close co-operation with British Waterways and Kirklees College has allowed the works to be completed within a 5 month canal closure and the College's canal water cooling system inlets and surface water drainage to be incorporated into the scheme.